There’s no denying the Tour de France’s distinctly Franco heritage, but the start of the 2014 edition is all about Britain both in setting and the betting. For the first time since 2007 The Grand Depart will take place on these shores, with Yorkshire hosting the opening festivities of the greatest stage race in the world. As a flat stage, the Leeds-Harrogate opener is expecting to be a prime, if only, opportunity for a sprinter to claim the yellow jersey on the first day and home-town hero Mark Cavendish heads the betting. 12 months ago an identical prospect lay in front of the Manx Missile, only for a mammoth crash to send him tumbling to the tarmac and end his hopes. Now, with the scene perfectly set, all eyes are on Cavendish as he bids to lead the Tour for the first time in his career in front of his local fans. Ticking off a career bucket-list is sure to be motivation enough for the 2/1 Stage One favourite, but the fact the opener ends a stone’s throw away from his mother’s house is an added incentive for the 29-year-old. A completely flat finish this is not though, which gives sprinters with less power the chance to nab the win. The flag-bearer of such a rider is Peter Sagan, whose all-round skills make him adept at both sprinting and climbing. The 7/1 on him claiming first honours is therefore a price very much in play for the first stage. Marcel Kittel, who won last year’s opener, is second favourite at 11/4, while 9/2-shot Andre Greipel is the final meat slice in the Cavendish/Sagan sandwich. 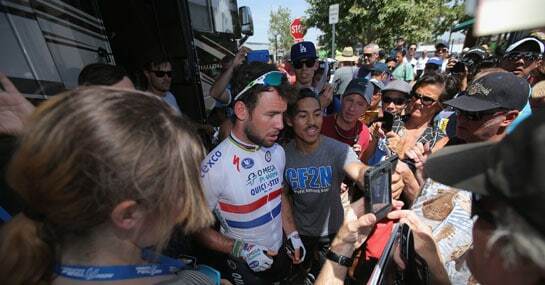 With a British rider looking to claim the Tour de France for a third straight year, though, there wouldn’t be a better way to start that script than with Cavendish sprinting to glory.